are not implemented yet please let me know! - STREETS | You can buy any Street/Railroad/Complany like in the orginal Monopoly game! 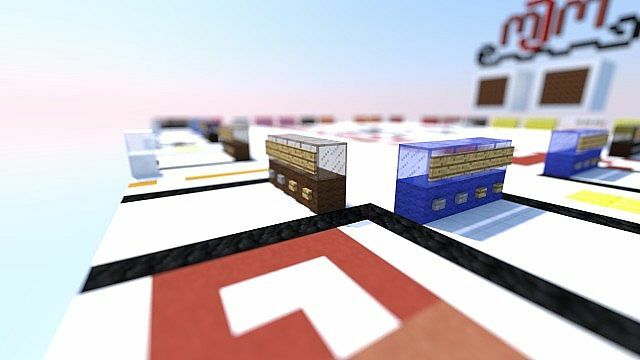 - HOUSES | If you have all streets of one color you are able to build houses! to roll the dice again! the jail" card you go to the prison! You have 3 ways to get out. * Redeem the Chance or Community Chest card. PLEASE NOTICE: There are many bugs and in the next time I am going to fix all of them! If you find bugs please write me. I think in two weeks we get a complete version without errors! 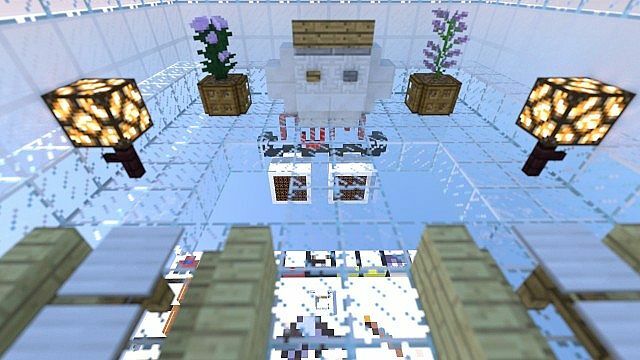 Credit If you play this map on your Youtube channel, please credit me and add a link to the official video in the description. WOW that is so cool! Love to play this with my friends! Holy Crap this is Amazing!!!! Please, can you give us an explanation about the randomize system of the dices? Thanks! And ¡Hello from Spain! I have the same exact idea, excpet blockopoly. And its more flat. Automatic buying and paying. AND soon book buying using books, you know what I'm talking bout' right? Type stuff if books. I like your concept of the game. The only thing I find annoying is that there isn't any speed potions to get around faster. I plan on giving everyone a speed potion. Because my board is bigger. Or I can just give them, um. Teleport them to their destination? Mine's semi-automatic, and I say yours is kind of automatic 100%, other than having to press the buttons yeah. Wait a minute. Does this mean that when you go to the prison you can just get out by buying it for 'free'? 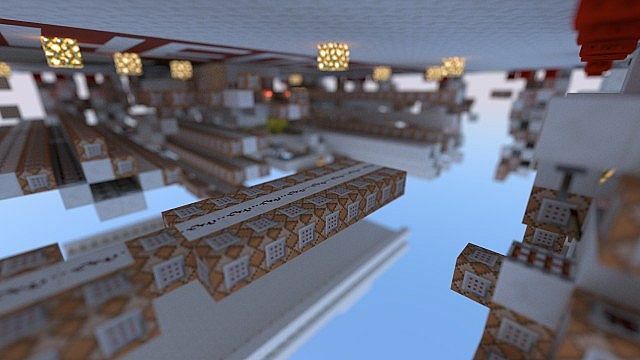 about to record a lets play of this map. 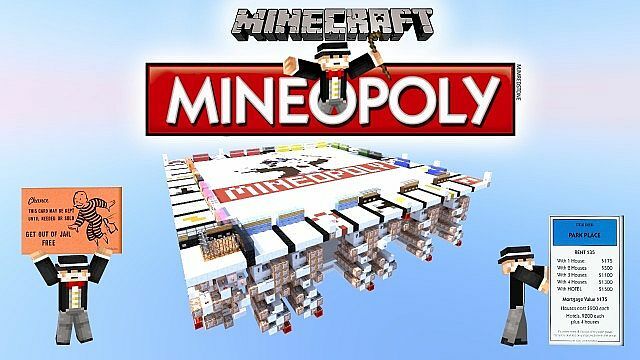 t he first time i downloaded this, it crashed, the second time it worked but there was a gigantic hole in the middle.And all of the blocks with the properties on them, wernt textured and kept dissapering 1 by 1.So i was sad because this looked like a really cool game. What an epic game! must have taken forever to build! im requesting sky to play this. wait, no, i'm FORCING him to play this. that is absolutely insane mate, you deserve so much more subs and respect! This is so cool. At first I thought it was a remake of the AH Monopoly! Is there a specific snapshot this is for? I tried 14w06b and it /kind of/ worked, if I went into creative mode and broke my way into the dice button area. It teleported me to Go, and then when another player rolled the dice it teleported me back to the start room. Then I switched to the latest snapshot and it doesn't work at all when I get to the Start room. I use a personal server, and it continuously says 14:number:number Info: [@: Block Placed] and occasionally it says a player is found. 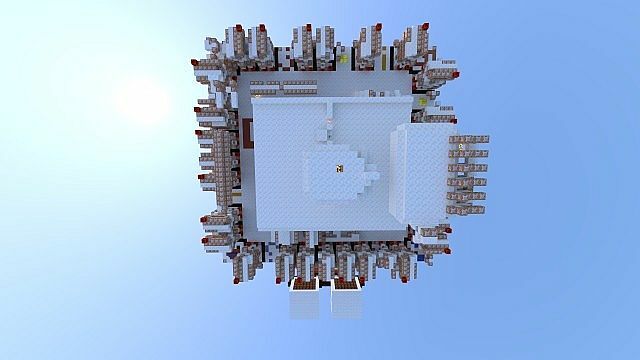 I assumed it was spawning in all of the blocks, but I don't know. 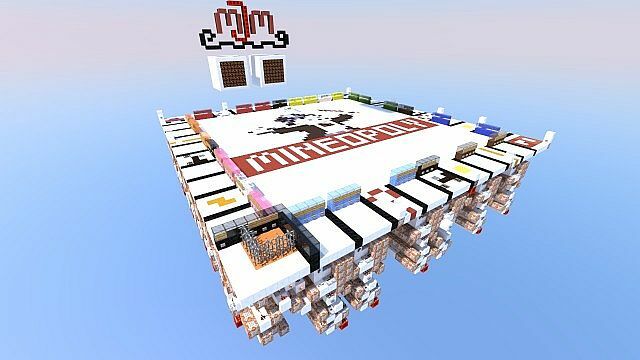 I know this is a stupid question but I honestly have no idea how to play this on minecraft!!!! I was thinking that Disco built this! That's how great it is! Just a piece of advice: Add the stacks of cards for community chest and chance on the board. Its just aesthetics but it'd make it look a lot cooler. Wow! 100 Diamonds in 1 day! THANK YOU SO MUCH! The presentation is absolutley stunning. 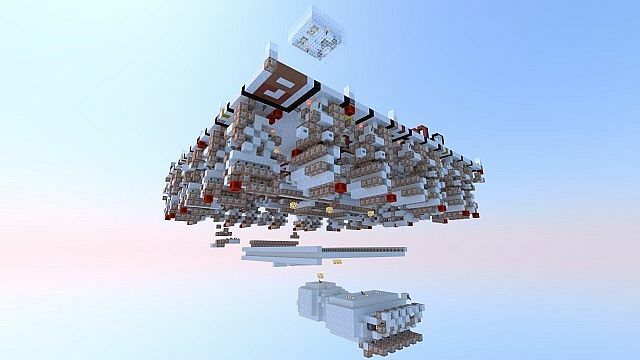 This is not only a work of art, but rather a significant work in redstone, creativity, and skill. how'd you do that focus out thingie to your screenshots? 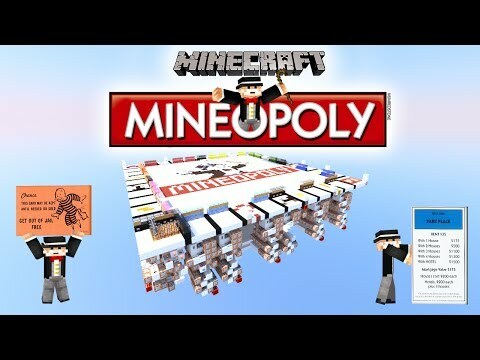 Monoply is my fav game so dis is AWSOME! Its awesome that it actually works! This freaking Awesome man!! Can't believe it is actually possible. GREAT JOB! Everything 'bout this is awesome! This is truely madness ! Lol, btw , do U know if there is any server where i can play this madnespolyy? Amazing! the amount of amazingness is just too damn high. Amazingly incredible. 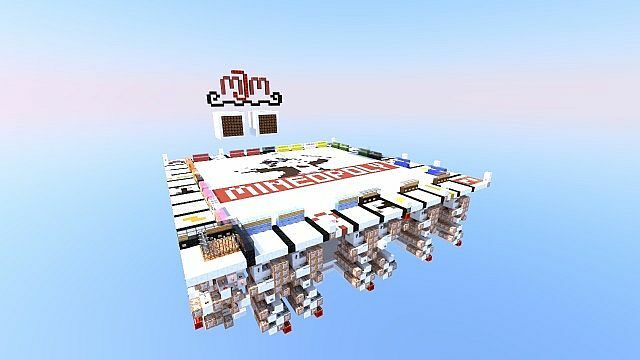 Best build I've seen on planet minecraft in a long time. Very impressive! 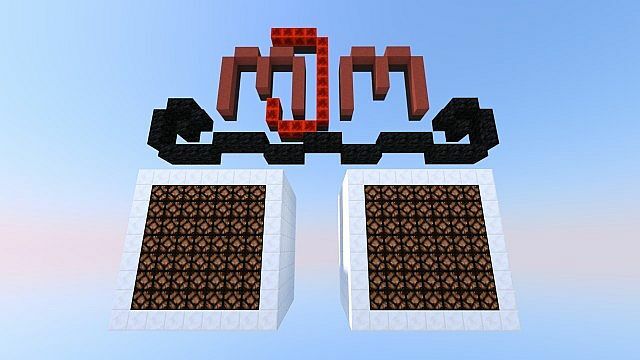 Both redstone-wise and estetically! Epic, this is so awesome! 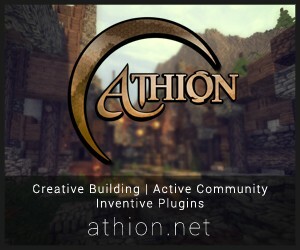 will this work in singleplayer? Great job dude! You must have spent a lot of time on this! 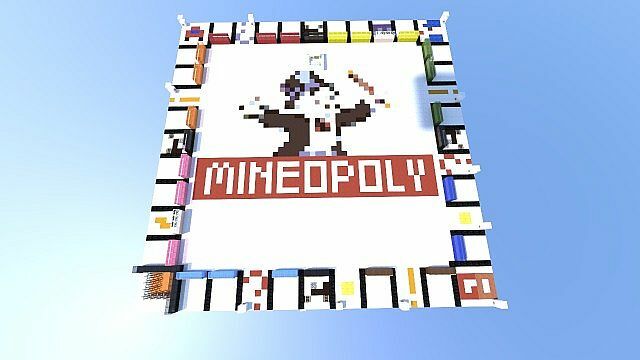 Going to have fun beating my friend in monopoly in minecraft now! My mind just blew up a million times. This is fantastic! I considered doing one myself at one point but meh. Nice to see someone else has done it, it looks great!